Santorini is a place of tranquility and one of the most sought-out Greek isles known for its beauty and gracious Mediterranean culture. 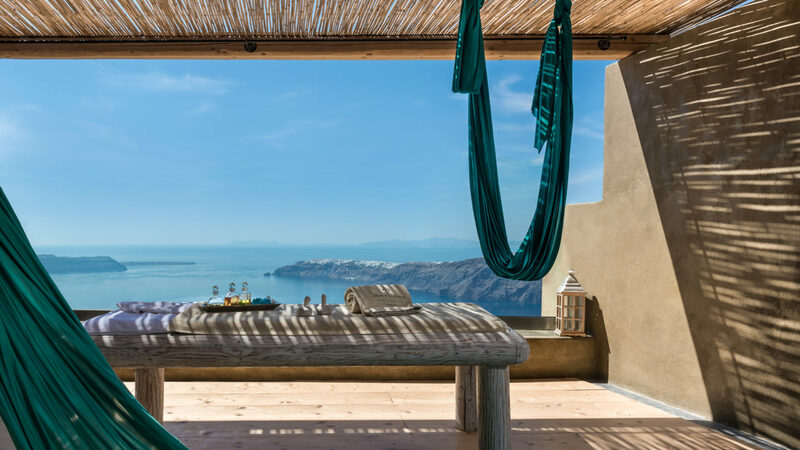 Perched along the cliffs of Imerovigli along a scenic hiking road that connects Oia to Fira, Andronis Concept welcomes guests to immerse in the island's serene surroundings, calming breeze, and breathtaking views overlooking the volcano framed by the protruding dramatic cliffs of the caldera. The views are alluring where the sky blends in with the deep blue waters of the Aegean Sea. Its seclusion and intimate setting allows guests to engage in the moment. Each of the suites and villas boast private balconies and infinity pools where its subdued interiors infuse a traditional Santorini-style with bright contemporary touches. The Kallos Spa is a wellness oasis where spa journeys are holistic offering speciality treatments to therapeutic relaxation programs and a hammam plus two pools. There are also spa journeys and yoga sessions available for children. Days begin by setting intentions during morning outdoor yoga sessions or connecting with nature during guided meditation hikes or basking in the sun. For those seeking a variety of activities, spend the afternoon at sea catamaran sailing, discovering local spots in the nearby villages, or learning Greek recipes in a cooking class. 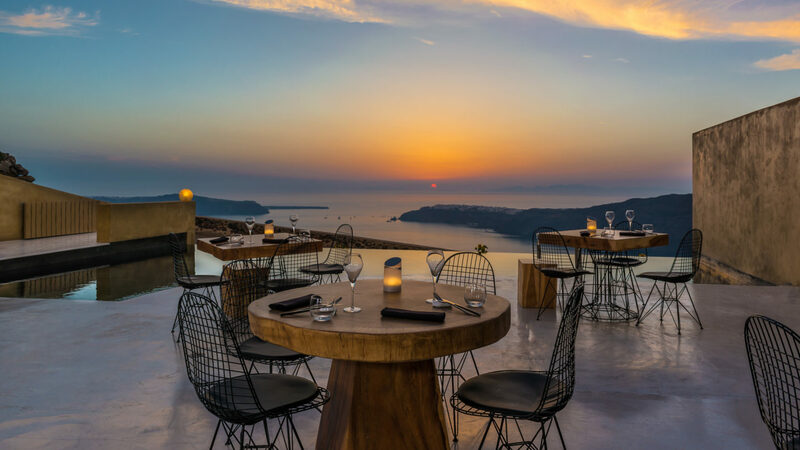 In the evening, savor the brilliant sunset over a romantic dinner at Throubi restaurant serving nutritionally balanced dishes and contemporary Greek cuisine. Here at Andronis Concept, the only limit is your imagination. Designed to offer incredible sea views, each suite across four categories is well-appointed and intimate boasting private balconies and infinity pools. Its subdued interiors infuse a traditional Santorini-style with bright contemporary touches. For families or those traveling in groups, there are spacious two-to-four bedroom villas that can accommodate up to four to eight guests. While the four bedroom suite offers two private pools, a fully-equipped modern kitchen with complimentary butler and round-trip airport transfers. A private chef can be arranged upon request. 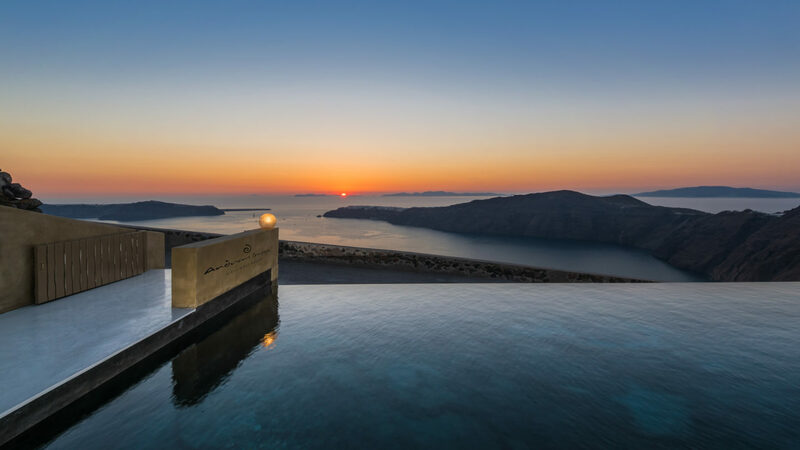 Perched on the cliffs of Santorini, the Andronis Exclusive beholds the captivating beauty of this Greek isle with its collection of well-appointed bespoke hotels. 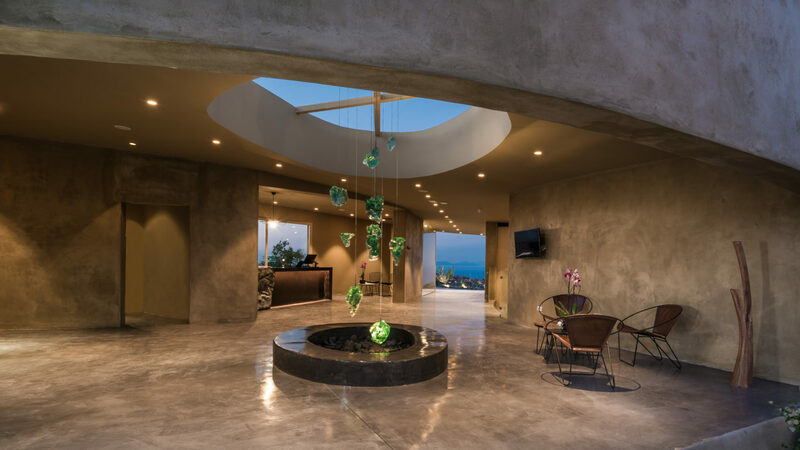 Their collection includes all-suite accommodations including: Alta Mare by Andronis, Andronis Arcadia, Andronis Boutique, Andronis Concept Wellness Resort, Andronis Honeymoon and Andronis Luxury Suites. Farther afield, Andronis Athens offers contemporary suites set in Psyri-the historical heart of Athens. Each hotel offers a different adventure and an unforgettable gastronomic journey taking nouvelle cuisine to a new level of culinary excellence with their dynamic team of creative chefs. Their philosophy is to live the holiday experience in full, in every way, every moment of your stay. 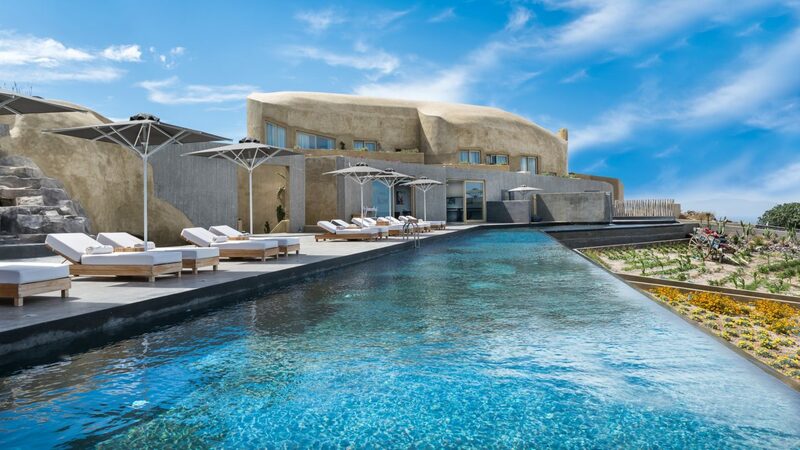 Beginning with the team’s gracious welcoming hospitality, acute attention to detail, and spectacular backdrop with views overlooking the deep blue Aegean Sea, the dramatic volcanic Caldera and picturesque skyline of Santorini. Each hotel’s contemporary interiors have a sense of place and connects with the island’s architecture and natural beauty. Combining its passion for creating moments and memories, guests will be fully immersed in the island’s serenity and long to return. Located on the fringe of Imerovigli along a provincial road that connects Oia to Fira. The Santorini airport is a 12-minute drive away while the port is a 20-minute drive.